Single Tickets $6 Semester Passes $30 Where Are Films Shown? Where Can I Park? Western follows a group of German construction workers installing a hydroelectric plant in remote rural Bulgaria. The foreign land awakens the men’s sense of adventure, but tensions mount when, Meinhard, the strong, silent and newcomer to the group, starts mixing with the local villagers. The two sides speak different languages and share a troubled history. Can they learn to trust each other — or is the stage being set for a showdown? 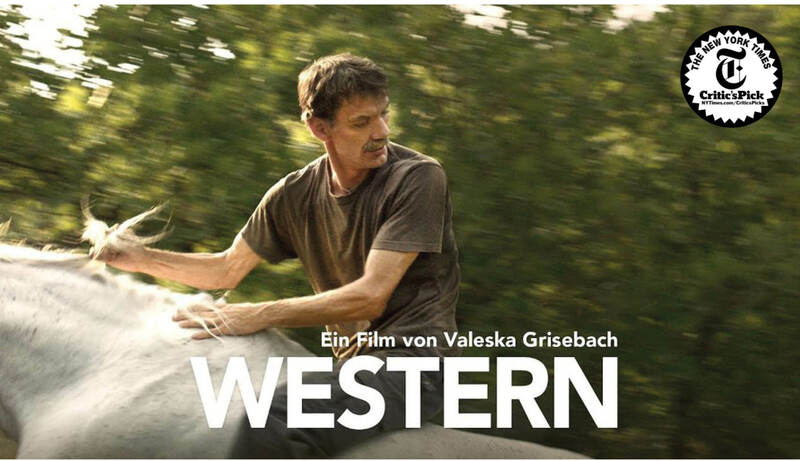 Western is written and directed by Valeska Grisebach and is produced by Maren Ade. They worked together on the Academy Award nominated Toni Erdmann – Ade as director and Grisebach as script consultant – which you may have seen last year at the IU Cinema. Grisebach’s two previous features, Be My Star (2001) and Longing (2006), were never released in the U.S., but established her on the festival circuit as a director to watch. She’s especially adept at coaxing raw, uninhibited performances from nonprofessional actors, notably Meinhard Neumann, who perfectly embodies the stoic discomfort of a man who feels alienated, not just from strangers but from friends and loved ones as well.